Someone came to my house today, and she was bearing surprise gifts for me! When I opened the box, these are what I found! 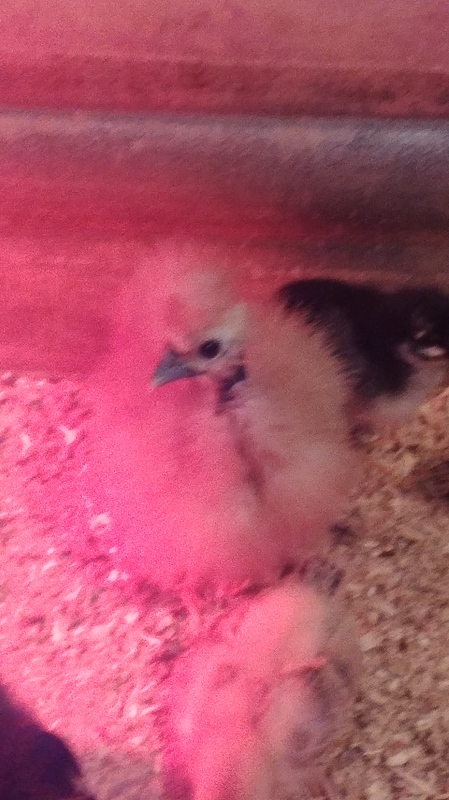 and a sizzle pullet (the one with feathers sticking up everywhere)! 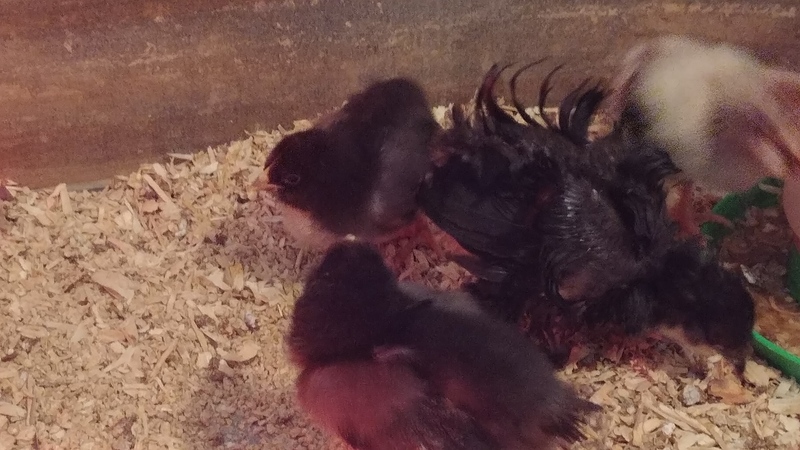 These two beauties settled right in with the chicks we currently have in the living room, and they are so sweet!